A big shout-out to my freshman year roommate, who has tolerated my awful lifestyle and extensively documented all of it on her Snapchat stories. 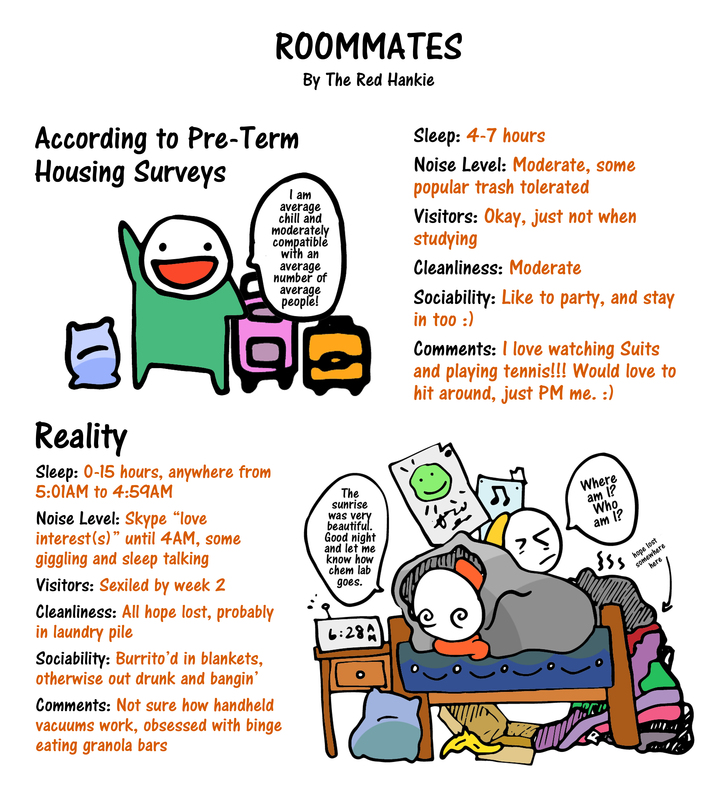 This entry was posted in Comics and tagged college, comic, cute, dorm, dorm life, eating, housing, living, roommate, school, sleeping, student, university. Bookmark the permalink. the given information I have on there. Anyways, I simply wished to compliment you on your blog.